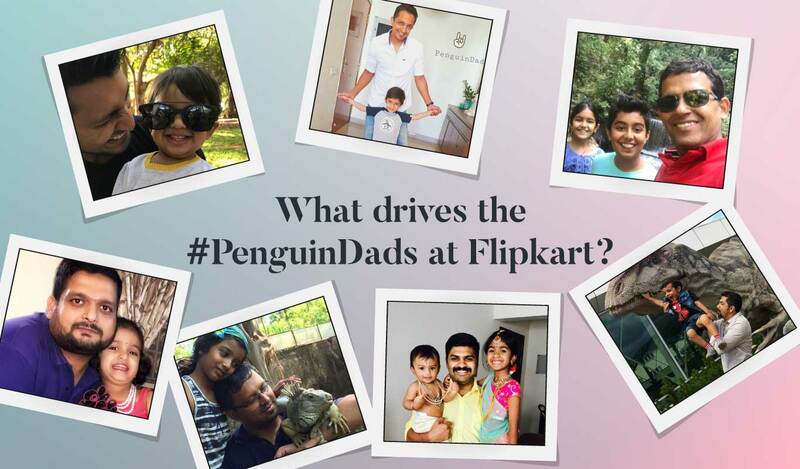 PenguinDads of Flipkart: What drives the dads who do it all? 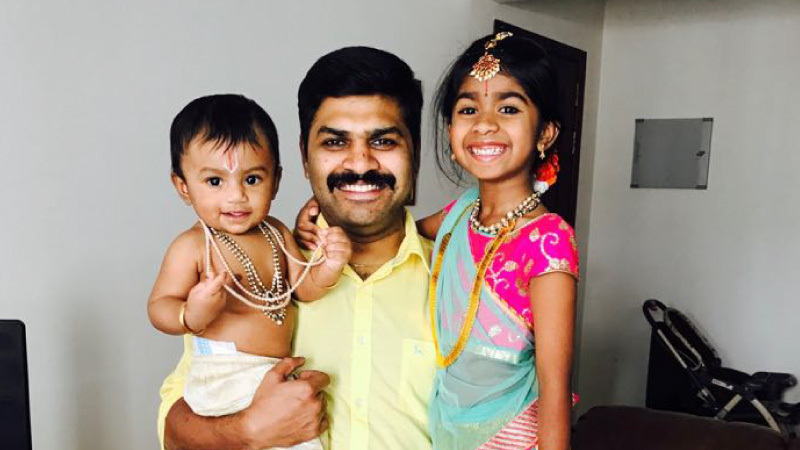 From providers to primary care-givers and emotional anchors — fatherhood roles have evolved over the years in India. Gone are the days when mom was the only word, fathers today are every bit as invested in their children’s everyday lives. We call these fathers the PenguinDads – an analogy borrowed from the animal kingdom. 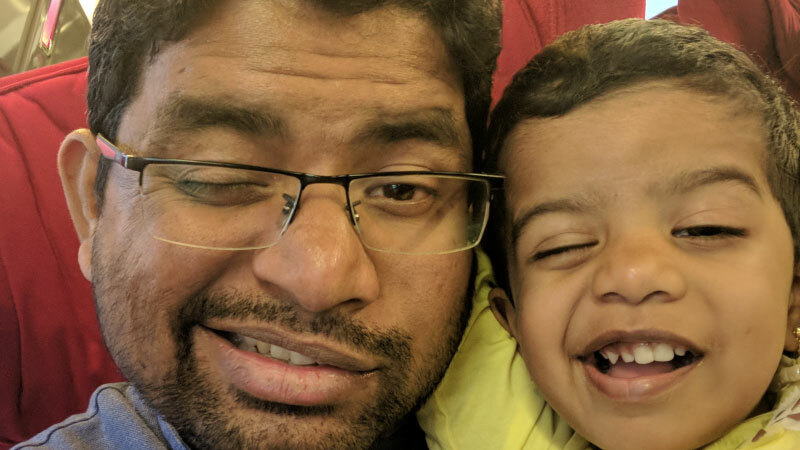 The PenguinDads of Flipkart are there to sing their kids to sleep, cook them breakfast, change and bathe them, tie a mean ponytail, or read to them. From nap time to nappy time — these dads do it all. 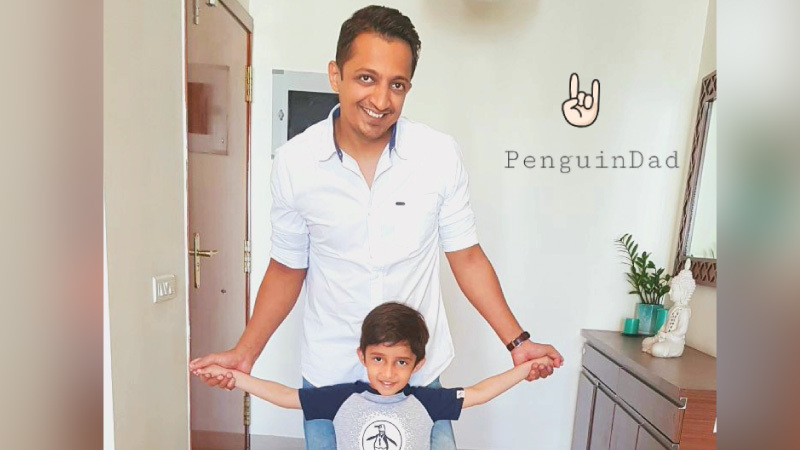 We spoke to the PenguinDads of Flipkart and asked them what fatherhood meant to them. Here’s what they said. What was your first reaction when your child was born? A sense of calm and excitement at the same time. Calm because all went well and the little one was out in the world, excitement because I just couldn’t wait to see him. 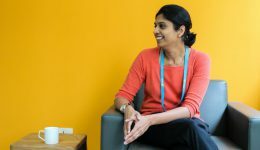 I still remember he was all wrapped up in a green hospital cloth and the nurse called me and said – ‘Are you ready to meet your child?’ Those few seconds is the most excitement I have ever felt. The moment they unwrapped him and I saw this tiny face, I just could not control my emotions and cried. And then he held my finger in his hand it all came alive for me. How do you spend time with your kid? I try and find time every day and make it a point to spend time either in the early mornings before the madness of the day starts or after I reach home. I usually talk to him about his day and how my day was and we go for a walk or out in the park. I also make it a point to do one outdoor activity with him every week. We both love cycling so we end up chasing each other on our cycles on weekends. He also loves painting and we do this “let’s just paint whatever we feel like” activity whenever we can. It’s like an outlet for both of us. I go through all his school progress once a month along with him to see what he really likes doing. As a family we do a lot of road trips together. We all love being in the outdoors and he loves driving and cars so it’s like a thing we bond on. Plan to take him on a world tour by road some day. Do you think that men are now more involved in a child’s upbringing? Absolutely. 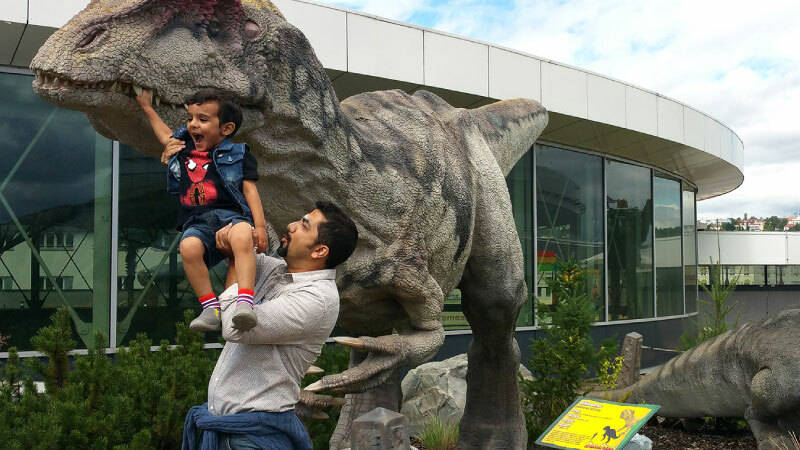 When my father sees me raising my son he feels I am way more hands-on than he was. He told me that he missed out on doing a lot things with me and my sister, which he sees me doing as a father. Dads today are far more invested in all aspects of their kid’s life. What do you think of being a Penguin Dad? I love being a Penguin Dad. I came up with the idea because I really believe in it. When we were thinking of this whole idea of progressive dads and our effort to celebrate the dads who do it all, Penguin Dad instantly defined it for me. 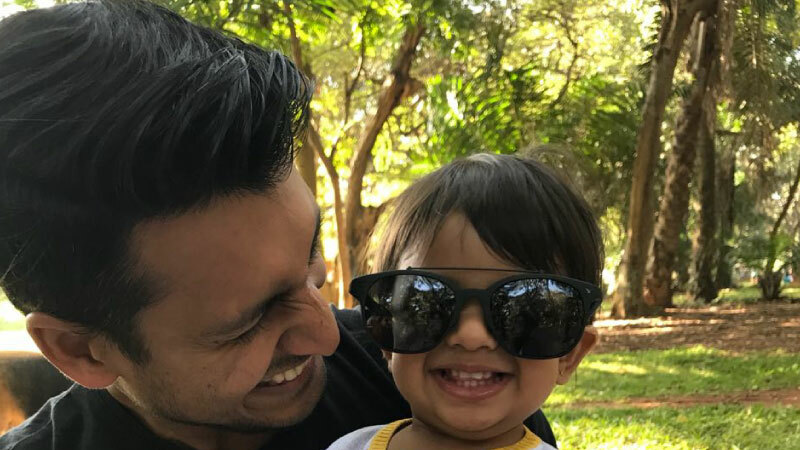 Just like how Penguin Dads are animal kingdom’s most dedicated dads, I think more and more new-age dads are becoming do-it-all dads. They are hands-on and love being that. Father hood is getting redefined and this concept is helping raise a lot more confident and balanced kids today. I went out of the labor room, hugged my mom, and cried. I was overwhelmed by a mixture of joy at her birth, relief that she was healthy, and other emotions that I have no words to describe. What was your first hands-on experience with your kid? What do you cherish most about this experience? Holding my little girl in my arms was the first time I made a connection with my child. That’s a joy that I will always cherish. She’s nearly ten now and almost as tall as her mom, but I still don’t refuse her when she wants to be picked up! Today, my daughter is away at boarding school and I value the time that I spend with her even more. I’ve been a hands-on dad right from the start, and I believe it’s something that I’ve learned from my own dad. I make dosas and omelets for her. I read to her, tell her stories, and sing her to sleep. Which skills could improve at? I’m not of much help with her homework. I end up rambling and narrating the history of the world when all she wants to know is the capital of Azerbaijan. Can you recall an incident when your parenting skills were really put to the test? Diaper changes. Diaper changes during a bout of diarrhea. Diaper changes in the middle of a movie. Or on a moving train. Or fumbling with a messy diaper at 35,000 feet in an aircraft lavatory while an elderly co-passenger with incontinence is trying to tear down the door. You get the drift? Of all the life lessons, what is THE most important one you’d like for your child to imbibe? That Dad can tie a ponytail as well as Mom. Well, almost. Certainly. And they should be. There’s been a bunch of changes lately. More dads do want to participate more in a child’s upbringing. There’s also the fact that couples no longer live with their families, which means that their support system gets smaller. This makes participation of both the parents even more important. It is really very fulfilling. That connection and closeness I feel with my daughter is incomparable. It’s an amazing feeling. Believe it or not but spending time with them is actually a stress-buster. What’s your first memory of your child? I remember this time when she was just a few days old, I looked at her sleeping and saw that she had her tongue out. I quickly grabbed my camera and took a photograph. Ever since then, it’s been snapping pictures of her whenever she does something funny. It’s become our thing. Mostly playing. And she loves to read — be it pop up books, touch & feel books, multiple languages – anything she can get her hands on. So I love reading to her. It helps that both me and my wife are bookworms. What does your spouse think of your Daddy skills? She thinks I’m awesome. Frankly, I think she’s jealous of me. Plus, I’m able to throw my daughter up in the air. If there’s one thing that can curry favor from my little one, it’s that you can throw her up in the air. If there’s one thing you’d want more of in your relationship with your kid, what would it be? I don’t think there’s a want of anything in the relationship — but I would like some more time to spend with her. And I work around things to optimize that. For example, I wake up early, around 5.30 AM, so that I can go to the gym and just do my thing. When I come back, she would’ve just gotten up, so I feel like I didn’t miss any time with her. I play with her (she likes to do puzzles with me), watch a lot of videos, my daughter likes to take long rides on my bike. If not in a mood to do anything, she sleeps on my back to while away time. Which of these skills are you really good at — making breakfast/ helping with homework/ reading bedtime stories/ tucking your kid in bed? Except reading a bedtime story, I am able to handle the rest pretty efficiently, because while I tell stories, she never sleeps. Combing her hair properly and making a nice ponytail. What’s the one thing about fatherhood that makes you nervous? Am I giving them enough time? Last year she was not well for a long time. Sharing the responsibility of taking care of her and somehow making her eat felt like going through an obstacle course. 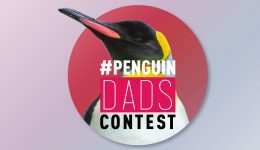 What do you think of being a PenguinDad? Felt I had aged suddenly, a sense of additional responsibility dawned over me. As a family, the four of us are mostly together once I am back home. My wife and I very seldom go out on our own. I get quality time on weekends and on our outstation breaks. Once my father-in-law fell ill and my wife had to go to Delhi. Having to take care of them all by myself for the first time was a great experience. They sensed my nervousness and started taking care of me as well. Average, at best. She knows I love and pamper them, but she is the one who does the heavy lifting. Making mistakes in our journey of shaping them into good human beings. I could do much more towards being a real Penguin Dad. It’s such a nice mix of joy, anxiety and responsibility when you see your little ones grow. Many a times you see them as reflections of yourselves — in actions and mannerisms. Want to strive more to live up to being a true Penguin Dad. There has been a big change in how the responsibilities of bringing up a child is shared between the two parents. Men are getting really into it and it has a very positive effect on the development of the child. My parenting skills are put to test really when my daughter starts comparing with others or with us and asks why she can or can’t do a few things. It’s not easy to explain at that time without getting frustrated but yes part of learning process both for her and me. Happy and proud of being one. Both mother and father play a very crucial role in the development of the kid. One can’t give what the other can. 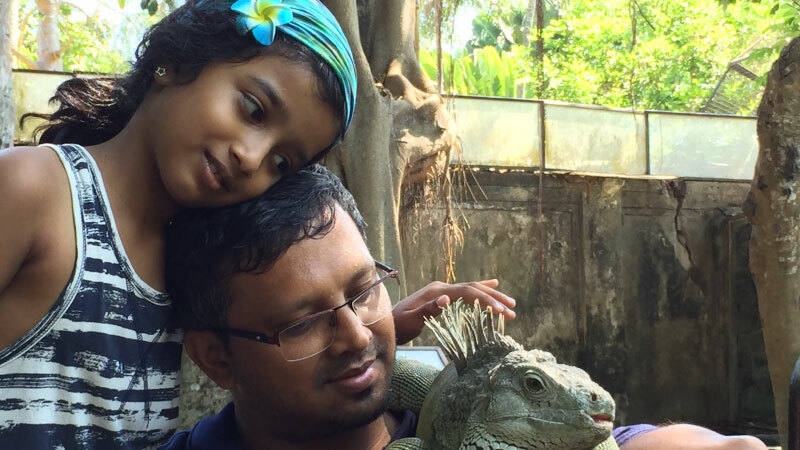 My relationship with my kids is very different from what Sharmila (my wife) has with the kids. This is the great foundation for the beautiful relationship I will have with my kids in the future. 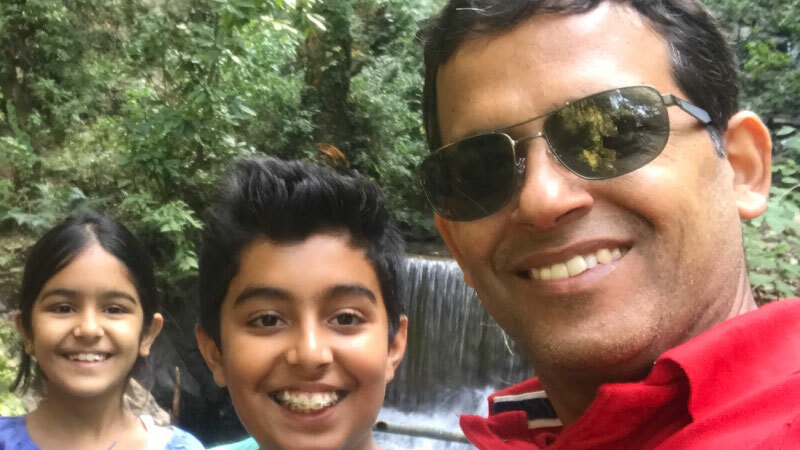 Also, It has helped me grow as an individual and I have learnt more from my kids more than even what they might have learnt from me. 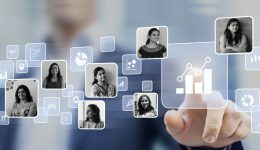 Value systems. I strongly believe that all the other things you learn during childhood can be unlearned later and you can learn new ones, but the right value system is something that’s very important to be imbibed very early and will never leave a child ever. I was in awe. I had heard so much about fatherhood and you see it in the movies and everyday. But when you see your own kid for the first time — you learn something more about life. And yourself. I used to tell him stories – now we both tell each other – of faraway lands, spaceships and aliens, superheroes, dinosaurs, fairies and elves and he usually features in most of them. We draw together, and he’s getting better than me now. We play, listen to music. His favorite now is the Black Panther soundtrack. When Arjun was born, I took care of him completely. I enjoyed feeding him, singing to him, bathing him and yes, cleaning his nappies. The whole experience was all completely new and yet very natural. Honestly, you cherish everything knowing that it’s never going to come back. Who knows if this little helpless tot is soon going to be a gaming teenager who probably won’t look his dad in the eye! Pretty much everyday at dinnertime. I love it. I think the term Penguin Dad is going to become an everyday thing though, as every father in today’s world needs to be closely connected to his child. Spending time with them, feeding, bathing, nappy changes, going to their schools, etc. — which was thought of as a mother’s duty — are as important for the father, too. It is also immensely fulfilling. Both parents have to be the first teachers. It is unfair to put it all on one person. Most mothers are also working today, which means equal responsibility at home. Many of us are already there. Some of us are on the way. Others need to get their act together. Sooner or later, the demands of a progressive society will get to them. If not when the child is young, then when he or she is older. When the doctor allowed me into the room where the newborns were kept, all the kids but one were fast asleep. There was this one kid wrapped in a blue diaper who was wide awake, shaking her legs and hands. And I was told that’s my kid. 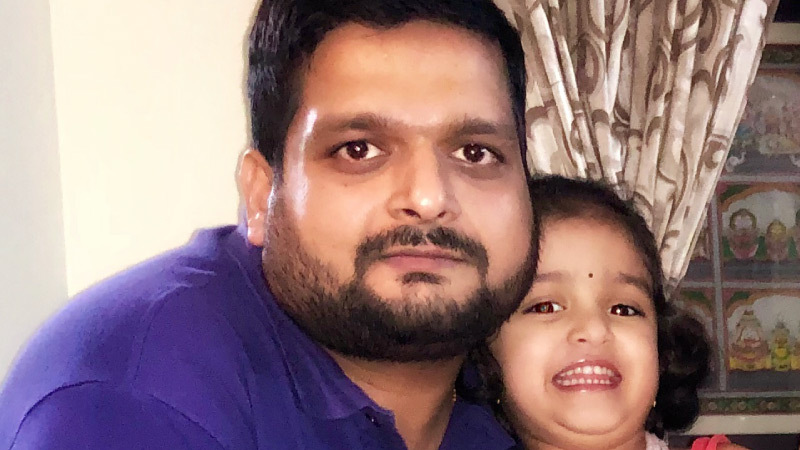 My wife’s office is near the new airport in Devanahalli (outskirts of Bengaluru) and hence she needs to leave early every day. So I wake my kid up in the morning, get her ready for school, make her breakfast, feed her and then drop her at school. So those two hours in the mornings are daddy daughter time and we spend it talking about what she did the previous day and what I did in office the previous day and so on. Also, at night, Maya waits for me to come home before she sleeps. We spend a lot of time together during the weekends. We go to the park, the little gym, and shopping malls together. Last eight months have given me hands-on experience in getting my kid ready for school in the mornings. Last 40 days have been even better. My wife had to go to Netherlands for six weeks on business travel and I had to play mom and dad. I loved the increased responsibilities and actually felt like a PenguinDad during this time. Someone asked me if I would do it again, and the answer is most definitely, yes. I also realized how difficult it is for a woman to take care of kids and do well at work simultaneously. My respect for working moms has gone up. Sangeetha has only two words to say — very impressed. But I do think there is a long way to go for me to become even half as good a parent as my spouse. Not exactly nervous, but I am always worried if I am giving my 100% for Maya or not. I actually think there is quite some way to go for me to become a penguin dad. I want to do more for my kid, spend more time with her and actually contribute as much as my wife does in parenting.